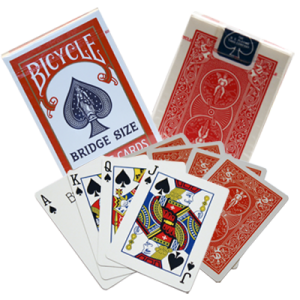 The word magic often conjures up brightly decorated tubes, boxes, rabbits, doves and the usual magic tricks and paraphernalia that magicians normally use. However over the years, there have been some performers who have resorted to other forms of magical entertainment. Featured in this week’s History of Magic is one such performer, Dixie Annie Haygood (nee Jarrett). Annie was born in 1861 in Baldwin County, Georgia USA, and she grew up to become a magician who never used the traditional magicians props. Little Annie was to soon become known as “Annie Abbott the Georgia Magnet” with an act that would take her right around the world. While she never disclosed how her powers worked, she became known as a magician and top vaudeville entertainer. During this time there were a number of other imitators or magnetic performers, each copying the other. Hypnotism and electricity were new phenomena that offered the opportunity for performers to capitalise on these new found realities by suggesting that their powers were somehow related to electrical forces and hypnotic suggestion. In 1884 Annie and her husband witnessed a strange act on their local town hall stage by a woman named Lulu Hurst. Lulu it appeared could cause a group of men to lift her up when she wanted them to, and then when the men tried to lift her again they were unable to do so. It was this performance by Lulu that triggered Annie to work out how it was done and then by 1884 she presented her own version to the public. Being such a petite lady only 5ft tall and weighing less than 100 lbs, she immediately made a hit, as Lulu Hurst was a much heavier lady. Annie’s act consisted of holding a billiard cue in one hand while a group of men tried to force the billiard cue to the ground but were unable to do so. Somehow Annie had developed above-normal strength. Four men would try to lift her off her feet but again were unable to budge her. Again the four would try to lift her and when Annie willed it, they then found they could. Then by placing her hand on a mans head she was able to lift the man off his feet seemingly with no effort at all, yet four men could not do the same with her. Holding a billiard cue out in front of her, the same group of strong fellows were unable to move her backwards. After her husband was shot dead, Annie decided to perform her new found skill in order to support her 3 children and became a master of self-promotion. She began to tour around the USA and soon became sought after on the vaudeville circuit. With a good manager and agent, she was invited to demonstrate her powers in England. After a very successful 6 week run at a London theatre, she began a 2 year tour of Europe performing for royalty and heads of state. 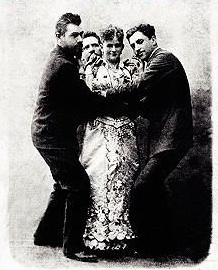 Harry Houdini who witnessed her act said “Annie Abbott was one of the greatest vaudeville acts in England”, while the renowned British illusionist John Nevil Maskelyne also praised her act highly. 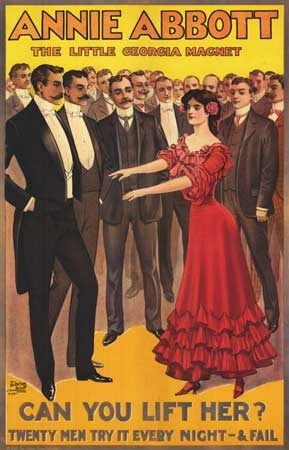 After Annie was introduced on stage, her manager would at great length describe her strange powers whereby she could overpower the energy of any strong men in the audience. Claims were made and then shown how she could lift as many as 4 or 6 men at the same time, yet they were unable to lift her. She was repeatedly often examined by doctors on stage who were quite mystified at her supposed powers. She even knew how to slow and stop her pulse, (a common magician’s trick) but one that fooled the physicians. In reality Annie Abbott had an uncanny knowledge of physics and how it related to leverage, balance, force and a person’s center of gravity. After her European tour she performed all over Japan and New Zealand. She had some bad press in New Zealand when some newspapers tried to discredit her act by disclosing how some of her performance was done but this did not deter her ongoing success. Annie’s magnetic act was quite novel and unique for the period. Dynamo has succeeded recently in performing one of Annie Abbott’s feats where a very strong champion boxer failed to lift him off the ground. If this whole act was performed on stage today, it would hold little interest for an audience because it was by its nature a long winded performance and quite drawn out, despite what the Georgia Magnet could do. She also by suggestion implied that she could transmit her power to children and this she demonstrated. Then began a series of disclosures made by more different newspapers all claiming how her effects were done. Yet despite these bold disclosures her popularity increased, as even men of science had no explanation for how she could resist the strength of heavier, stronger men, yet was able to lift a man by placing her hand on his head. When the occasion arose Annie Abbott would sometimes infer that she was also a spirit medium and thus had a great following from spiritualists. Some of you may have tried those party tricks where a person stands near a wall with their arms outstretched against the wall. A group of people are then invited to push that person from behind, as hard as they can, yet the person will remain firm and unable to be pushed against the wall. Another trick is to have a person sit on a chair surrounded by four others who place their hands on top of the seated persons head, all pushing downwards on their head. After a few minutes each person places just their fingers under the seated person legs and lift upwards. The seated person will be lifted up effortlessly. In 2003 the International Brotherhood of Magicians wrote a fascinating article in their magazine The Linking Ring with Annie’s photograph on the cover, thus giving her full recognition as a successful, magical performer. 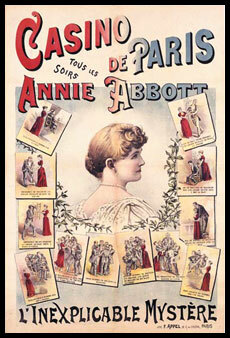 In Annie’s case she did not use magic tricks we are familiar with but instead men and children from her audiences. She will be long remembered in the history of magic as an unusual act that caught the attention of the Victorian age she lived in. Recently well-known author Susan J. Harrington (PhD) has written the book Annie Abbott “The Little Georgia Magnet & the True Story of Dixie Haygood” (a book I highly recommend). It’s about women in magic and vaudeville, spiritualism, theatre and the difficulties associated with being on the road to bring their entertainments to the world. Annie Abbott the little Georgia Magnet lies at rest in the town of Milledgeville Goergia, the same town she was born in. Her act is acknowledged by the magic fraternity to be worthy enough to be remembered in our magic archives. She died on November 21st 1915. One lesson we can learn from Annie was her enormous success at self-promotion and having an act that was so different became successful. Is your act different?